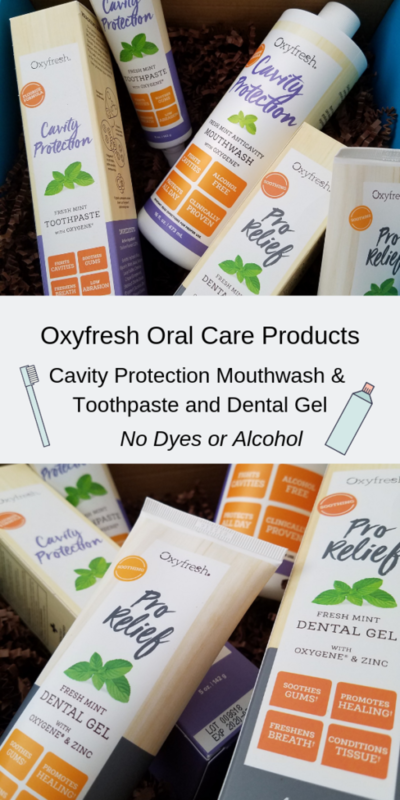 My family is loving these Oxyfresh Dental/Oral Care Products. 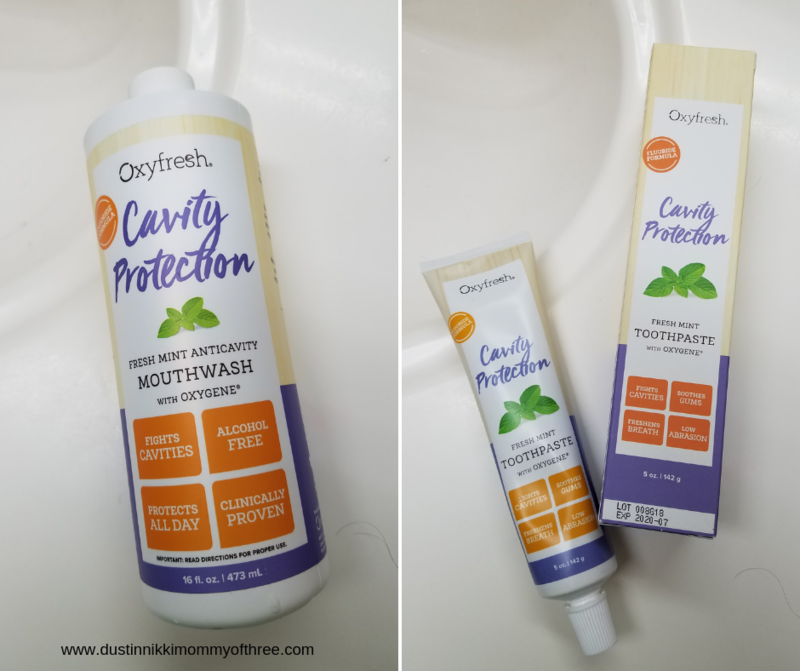 We have been using the Oxyfresh Cavity Protection Toothpaste and Oxyfresh Cavity Protection Mouthwash. 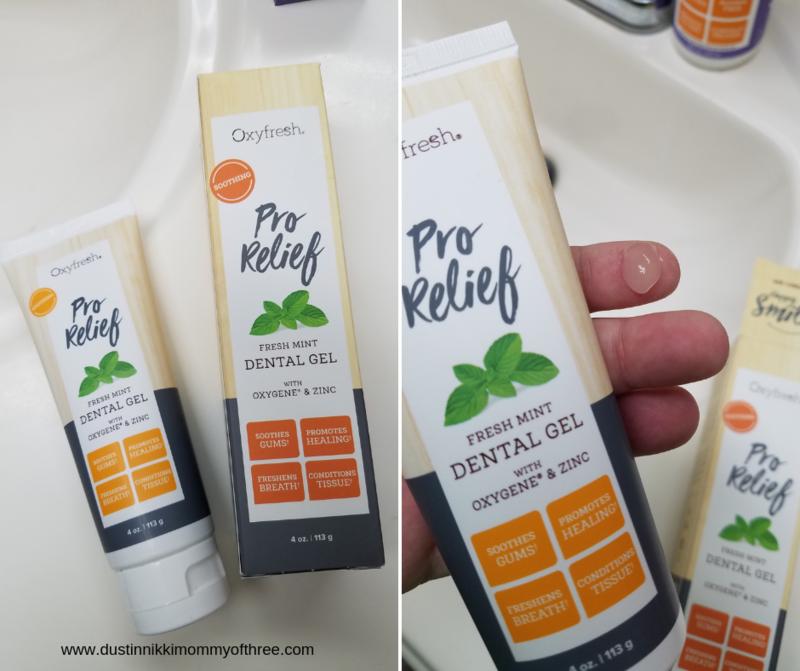 My husband and I have also used the Oxyfresh Pro Relief Dental Gel too. Oxyfresh makes their products dye free and alcohol free and they use Oxygene in their products which is safe, gentle, and non-toxic. Oxygene neutralizes bad breath like non-other. I am being totally serious when I say that too. There are no artificial flavors or sweeteners in these products either. Oxyfresh has been making their products for more than 34 years (made in the USA) and they are also recommended by dental professionals worldwide. They are safe, non-toxic formulas and have been clinically proven and effective. They even have a 100% money back guarantee! One thing that I love about them is that they help brighten and keep teeth white while also being low abrasive. They have fluoride options to help fight cavities and tooth decay, naturally sweetened with Xylitol which have also been shown to fight plaque and bacteria. 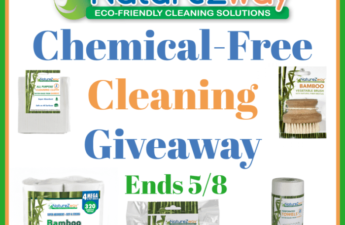 One last thing I want to add is that they use natural essential oils in some of their products for mouth freshness and cleanliness without an aftertaste. Before I get to my review…. Our boys on the other hand is a different story. Our youngest does a pretty good job but he did have to have a few caps done a while back. He has healthy oral care habits, he just doesn’t seem to brush very well. Our older son (our middle child) hates brushing his teeth. He’s the one we are constantly getting on about it. He’s almost 13 and a couple years ago he already had to have a tooth pulled. Thankfully it was a baby tooth but he had to have a spacer put in place of his missing tooth. 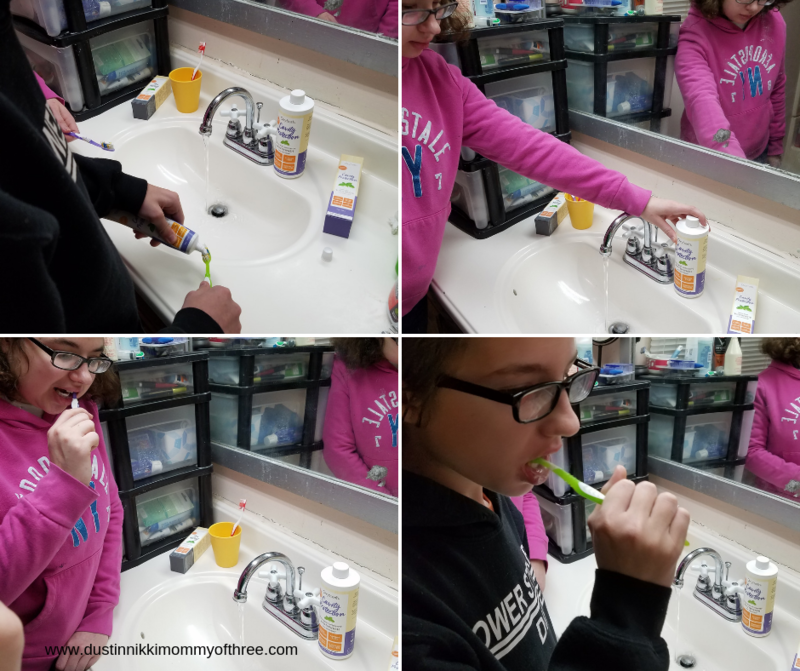 We consistently talk to our kids about dental health and their teeth. So many health problems can start from dental issues. Since this month is National Children’s Dental Health Month, it’s a good time to talk to your kids about the importance of dental health! We really love the Cavity Protection Toothpaste. It has a great mint flavor. My kids especially are pretty particular as to what their toothpaste taste like. They don’t like really strong mint flavors. That’s one thing that’s great about this toothpaste. It doesn’t have a strong mint flavor. They actually prefer using this toothpaste over what they had been using. Our whole family loves it. I think it cleans teeth and gums – your whole mouth really well. I love how my mouth and teeth feel afterward. My mouth feels fresh and clean and it does do a pretty great job at keeping bad breath at bay. It also rinses really easily too. So much easier than some other toothpastes I have used. I am also very picky when it comes to toothpastes. I don’t like aftertaste and I really don’t like having a grainy feeling. Needless to say, I haven’t had either of these issues. My husband and kids say the same thing. Since it is a cavity protection toothpaste, it does contain fluoride. It isn’t recommended for children under the age of 6 unless okay-ed by a dentist or physician. The same with the mouthwash. The mouthwash is amazing. I love that it is alcohol free. That means that it doesn’t burn and there is less chance of it causing dry mouth. That can lead to other problems. I go through periods where I have to deal with dry mouth and it isn’t very fun. My kids love using this mouthwash too because it doesn’t burn. It has a mint flavor but get this – there is so little mint flavor that it almost feels like you are swishing water! Afterward my mouth feels a bit more minty though. It’s kind of weird because you don’t feel it while you are swishing. This mouthwash also helps desensitize sensitive teeth and gums. Which does do a pretty good job. My husband, daughter and I are pretty thankful about that! 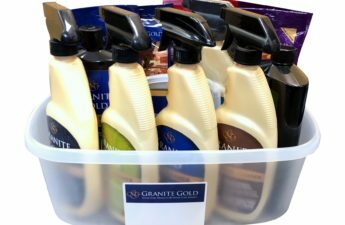 My husband, daughter and I have used this product. More so my husband and I. Our daughter every now and then has really sensitive gums where her wisdom teeth were pulled a while back. She has another dentist appointment soon to make sure nothing serious is going on because it has been a good bit of time since she had them taken out. She has used a little of this Pro Relief and she says it has really helped soothe her gums. My husband has sensitive teeth and gums. He likes using it because it almost instantly soothes any inflammation he has going on. This Pro Relief Gel helps fight bacteria and is hydrating to help promote healing. Which also means it helps condition and moisturizes dry irritated tissue. A couple years ago I had my wisdom teeth removed. Yes, me. As an adult. I should have had them taken care of many, many years ago but I have an irrational fear of of the dentist and like a dork, I waited. And waited. Plus I have TMJD and I live in constant fear my jaw muscles will spasm at any moment (because they do) and lock my jaw up. Anyway, long story short – my bottom wisdom teeth ended up messing up my two back molars on both sides. So not only did I have my 4 wisdom teeth (plus two more because I had an extra one on both sides up top), I also had my molars removed on the bottom. Six wisdom teeth people, six! They weren’t even seen on my X-rays. So because I have no back molars, I ended up getting a bottom partial because my dentist wanted me to have balance. Even if I didn’t have TMJD, he wanted me to have them because he worried I would end up with problems from eating and chewing. Any-who, my gums back there get sore sometimes at the end of the day so this Pro Relief Dental Gel has become my night and shining armor. It is so soothing and by morning I am good to go. It works really quick too. You can use the Pro Relief Dental Gel to soothe and relieve gums and tissue after dental visits, mouth sores, dry tissue, burns from hot foods, and anything I previously mentioned and more. After using, you shouldn’t eat or drink for 30 minutes. You can leave it without rinsing overnight. It feels kind of weird at first but there isn’t much of a taste unlike other oral gel relief products might have. I absolutely love these products. My whole family does. I can’t say enough good things about them! Buy It: Be sure to check them out online. Not only do they have dental products for people, but they also have dental products for pets as well. Oxyfresh also carries products for the home for both people and pets! Disclaimer: I was not compensated for this post. 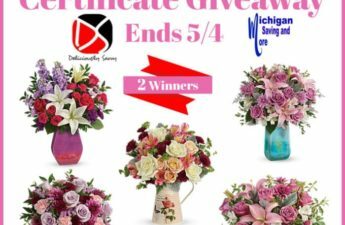 However, I received free product(s) mentioned in this post from Oxyfresh in exchange for my honest review. All opinions expressed in my review are 100% my own.